The Jensen Mod Series is said to be "Modern, with a touch of English." Major advancements in equipment technology and the introduction of new playing styles made it necessary to develop this speaker line, which is geared to the more modern player. The same diligence and dedication put into reissuing the original Jensen® Vintage sound was used in developing the Jensen® MOD line of speakers. These speakers sound clear and transparent with just a hint of their British rival's sound. The MOD speakers are produced with the finest materials available, and are recommended for all types of music at all volume levels. They allow the player to hear the amplifier most efficiently while giving the musician flexibility in sound and power. 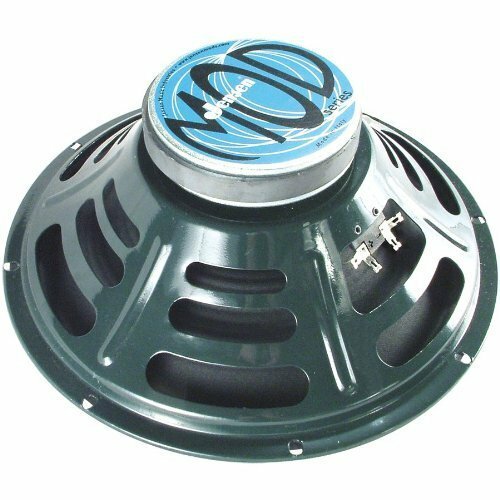 The MOD Series is the most versatile of all the Jensen® speaker lines. MODs are available in many sizes (5", 6", 8", 10", 12", and 15" diameters) with a wide variety of wattages and impedances.